Summer camps are the best way to learn new skills or activities as rest of the time; children are busy with their studies and projects that are part of their course curriculum. They can find time only during summers when their schools are closed and there are no pressing academic engagements to be met. In order to make best utilization of this time, many kids join summer camps where they get an opportunity to learn new art and craft skills, music, dance, sports and many more activities. 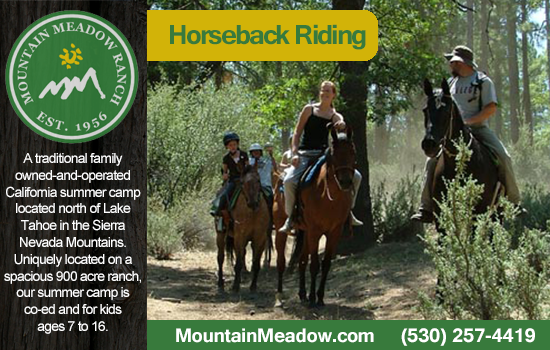 Summer horse camp in California offers an opportunity to learn horse riding to young school going children. This is the best time when they can learn this skill and enjoy the activity to the fullest. If they are very good at it, they can even think about making horse riding a career choice. Many adventures and fun loving children decide to enroll themselves for these camps. Horse riding camps offer much more than just a simple horse riding lessons, they make children learn respecting and trusting these animals. Many kids are able to forge excellent relationship with their four legged friends. This activity also helps them to learn being gentle with animals and understand their needs with simple cues. Horses understand simple gestures like a pat on their back or rub behind their ears. Though, they reciprocate this love in the strangest manner, the children find it quite touching. They learn the art of non verbal communication which may be helpful in their later lives. The training sessions begin with ponies or gentle horses. Children learn the art of using stirrups to mount or dismount a horse, the art of saddling a horse, the use of reins to change directions or to increase the speed of a horse and much more. Once a child is confident enough to ride a horse without constant guidance and supervision of his trainer, he can enjoy horseback riding in various areas, from plains to the hills and valleys with equal ease and comfort. 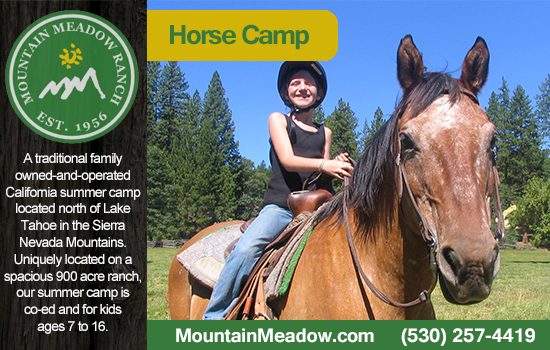 Campers are also given horse grooming lessons and are taught about various things like bridles, saddles, bits, halters and horse gear. Youngsters between the six to eighteen years of age are usually trained for horse riding in these camps. 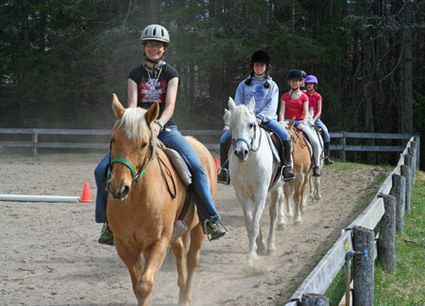 They are taught in a fun way where they are required to participate in seek and trail horse riding games. There are various levels of training provided by these camps.